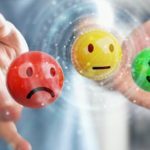 Have you ever been the victim of a scam? Do you think you might have been the victim of a timeshare scam? In particular, do you think you have been a victim of a Villa del Palmar timeshare scam? If so, you should read on because this site is all about timeshares and the scams that can affect them. This post is all about the Villa del Palmar timeshare brand. Read on to find out all you need to know. Villa del Palmar timeshare refers to one of the most reputable and long-standing vacation ownership providers in Mexico. 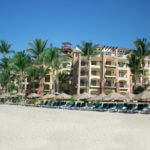 Villa del Palmar timeshare membership is part of the Villa Group and by extension Tafer Hotels & Resorts. 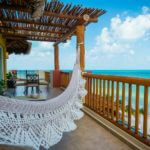 The Villa Group has over 30 years of experience in the business, providing vacation ownership products. The first thing to remember is that when you buy a Villa del Palmar timeshare you get the real deal. Villa del Palmar timeshare is not a scam. However, despite having a legitimate membership at one of the leading timeshare companies in Mexico, you are not untouchable to scammers. There are still multiple scams that target people with timeshare memberships. This scams usually fall into one of the following categories: timeshare cancellation scams, timeshare resale scams and timeshare rental scams. When someone offers you timeshare “solutions” for a fake Villa del Palmar timeshare scam, they most often mean cancellation services. Let me explain what I mean. If you are within the rescission period for your Villa del Palmar timeshare, you do not need the services of a cancellation company in order to cancel your timeshare. You will be paying large sums of money unnecessarily. On the other hand, if you are no longer within the statutory rescission period, these companies cannot help you, hence the timeshare scam. Another area in which you may be at risk of a Villa del Palmar timeshare scam is on the resale market; someone may claim to have a big money buyer on the line for your membership, or they may try to catch you out when you are the buyer! They may sell you a membership which does not exist, or they may sell you a membership so laden with debt that you cannot use it until you pay off all the maintenance fees and debts outstanding. If you want to know how to avoid a Villa del Palmar timeshare scam the answer is simple; buy direct from the Villa Group, know your cancellation rights, and never pay a fee upfront. 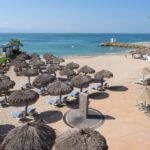 Share the post "How to Avoid Becoming a Villa del Palmar Timeshare Scam Victim"